Lions and Tigers and Compassion. Oh my! In the 1939 film, The Wizard of Oz, the central character Dorothy finds herself swept away by a cyclone and lost in the Land of Oz. With nothing but her small dog Toto, ruby-red slippers, and a driving desire to return home, Dorothy embarks on an adventure to find the great Wizard of Oz – a “larger than life” being who may have the power to help her return to Kansas. In many ways, each of us has felt like Dorothy at some point in our lives where we are swept away by cyclones of anxiety, depression, burn out, negative thoughts, and self-criticism. Personally, when I am swept away by my own emotional and mental “cyclones” I feel that I have been thrust into places that are so far from “home” – so far from a life that is anchored in the present moment. When lost in these emotional and mental stories, I can relate to the struggle of searching for the Wizard of Oz…searching for the hope and means to finding a way back to the present moment. As illustrated by Dorothy’s story and in relation to our own lives, we cannot embark on our journeys alone. 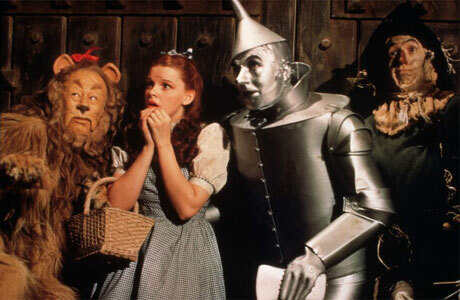 While traveling the Yellow Brick Road, Dorothy encounters three unique individuals that become her friends and companions on the path to find the Wizard of Oz: the Scarecrow searching for a brain, the Tin Man longing for a heart, and the Cowardly Lion hoping for courage. In my life, while traveling down my own Yellow Brick Road, Compassion is the friend that travels beside me – yet it is a friend that I am still getting to know – a friend that I am learning to trust. Thus, I will review three books that attempt to explain the role of Compassion in relation to well-being and living in the present moment. Each of these books are symbolic of Dorothy’s three friends, specifically: Sharon Salzberg’s (1995) book “Loving Kindness: The Revolutionary Art of Happiness” is the Scarecrow – the wisdom and knowledge bestowed in the brain; Kristin Neff’s (2011) book “Self Compassion: Stop Beating Yourself Up and Leave Insecurity Behind” is the Tin Man – the warmth and security of a loving heart, and finally Christopher Germer’s (2009) book “The Mindful Path to Self-Compassion: Freeing Yourself from Destructive Thoughts and Emotions” is the Cowardly Lion embodying the courage to face our internal and external resistance to suffering. Sharon Salzberg’s (1995) book “Loving Kindness: The Revolutionary Art of Happiness” is equivalent to the inherent wisdom and knowledge embodied by the Scarecrow searching for a brain. Salzberg’s words flow easily and upon reading each chapter I cannot help but feel that I am gaining knowledge from the experiences of a wise soul. The premise of the book is to guide the reader through loving-kindness, or metta, meditations fostering spiritual transformation. As any great journey, or transformation, begins Dorothy thus realizes that she must take that initial first step down the Yellow Brick Road, which parallels Salzberg’s contentions that deep spiritual transformation begins by “actually walking the path: putting the values and theories into practice, bringing them to life,” (p. 5). To find our way home, we have to take action – purposeful steps forward that enable us to cultivate and nurture the heavenly abodes or the brahma-viharas: love, compassion, sympathetic joy, and equanimity. Such journeys requires understanding our skillful habits that lead to awareness and distinguishing these habits from unskillful habits that derail us from the path of love. Thus, although Dorothy could choose to focus on her longing to be home with her family (i.e., cultivating an unskillful habit of clinging to the past) she recognizes that she must embrace the present moment reality and travel the Yellow Brick Road. While embarking on our own metaphorical Yellow Brick Roads, Salzberg (1995) reminds the reader to embrace and remember our own “loveliness,” which is the nature of metta. Practical exercises are listed throughout the book, such as “Remembering the Good within You,” and “Phrases of Loving-kindness,” (p. 29) where we begin by befriending ourselves. Dorothy offers herself kindness and comfort through mantras such as “There’s no place like home.” Similarly, we may offer our own selves kindness and comfort through phrases such as “May I be free from danger” or “May I have ease of well-being,” (p. 30). We then proceed from practicing metta towards ourselves to extending metta to a benefactor – another living person whom we have a deep respect and gratitude. After the benefactor, we then extend metta towards a neutral person – someone we have no real feelings towards. As noted by Salzberg, loving-kindness is boundless, and when we extend our loving-kindness to others we may recognize the interconnectedness and oneness of the human experience. Thus, although Dorothy felt initially alone and isolated on her path to find the Wizard, she was able to recognize and feel the pain experienced by her companions – the Scarecrow longing for a brain, the Tin Man for a heart, and the Cowardly Lion longing for courage. Upon realizing their unanimous connection of pain and suffering, they were able to extend kindness to each other and move forward together down theYellow Brick Road. Along any path we travel, there will be inevitable “bumps” and hindrances along the way. Dorothy and her companions were not exempt from such hindrances, as misplaced signs pointing them in the wrong direction, trees throwing apples as they passed by, and attacks from the infamous flying monkeys attempted to derail them. Similarly, we may experience our own personal “flying monkey” attacks, specifically through feelings of hatred, aversion, desire, attachment, and guilt. According to Salzberg (1995), guilt is depleting as it is hatred directed towards oneself. Guilt is our internal flying monkeys wreaking havoc on our well-being and our ability to move forward in a healthy direction. Conversely, when motivated through guilt, Salzberg explains that the self is at the centre stage and we “Forget the larger perspective, we become lost in the moment’s little drama” (p. 66) and subsequently lose our ability to love. Thus, to confront our internal flying monkeys, Salzberg explains the need to recognize that much of our happiness is usually dependent on someone else’s construction of reality rather than our own. Typically, society constructs a reality that is supposed to be pain free – yet “Life is a constant succession of pleasure and pain, getting what we want, and then losing it,” (p. 54). To confront the flying monkeys, we need to recognize that they are there, as opposed to running away from them. In addition, when we can recognize both our internal flying monkeys (i.e., guilt, aversion, attachment) and external flying monkeys (i.e., difficult people or experiences) we can begin to extend loving-kindness towards the difficulties in ourselves and the difficult people around us. From this position, we can then extend metta to larger groups of people – and humanity in general. Practicing metta towards ourselves and other people honors the interconnectedness of being human and ultimately circumvents our tendency to get lost in a fragment of reality (or the stories in our minds) that keep us running, fighting, and/or freezing in the presence of our internal and external flying monkeys. Finally, as acknowledged by Salzberg in her final chapters, recognizing our own suffering and the suffering of others is cultivated through notions of sympathetic joy, the gift of equanimity, generosity, and the practice of morality. Here we begin to practice fierce compassion and understand that “Developing true compassion is being able to recognize, to open to, and to acknowledge that pain and sorrow exist. Everywhere, absolutely everywhere, in one way or another, beings are suffering,” (p. 104). Kristin Neff’s (2011) book, “Self-Compassion: Stop Beating Yourself up and Leave Insecurity Behind” is similar to the Tin Man and his quest for a heart. Neff’s book, simplistically written and easy to follow, is like a warm, heartfelt friend and a legible “hug” to its readers. Neff immediately situates the reader by asking the question “Why Self-Compassion?” and explains the importance of practicing compassion for ourselves amidst a society that rewards success and cultivates the constant comparison of ourselves in relation to other people. Essentially, our comparison to others promotes negativity and harm to both ourselves and others. For Dorothy and her companions, the Wicked Witch is symbolic of our self-critic that arises from constant comparison. As stated by the Witch, “I’ll get you, my pretty, and your little dog, too!” Our inner critic, bore from comparison, is consuming and destructive. It affects our ability to see clearly and relate to those closest to us – even harming the relationships to our own metaphorical Toto near and dear to our lives. However, as noted by Neff, engaging in self-compassion and compassion for others allows us to stop beating ourselves up and to see ourselves as we really are – good enough and capable of loving ourselves and other people, flaws, strengths and everything in between. Self-compassion allows us to pour the bucket of water on our internal Wicked Witches and slowly melt away the harsh critics that derail us on our path to well-being. In addition, Neff incorporates exercises (similar to Salzberg, 1995) that allow the reader to apply the concepts discussed in her book, such as “See Yourself as You Are” (p. 22) and “Appreciating Yourself,” (p. 274). Both Salzberg and Neff provide their readers with the ability to practice compassion and loving-kindness through practical exercises that “fill our water buckets” of resilience to melt the Wicked Witch that resides within us. Unlike Salzberg’s (1995) focus on metta, or loving-kindness, Neff (2011) focuses on the concepts of the self, including self-criticism, self-esteem, and how self-compassion differs from these concepts. According to Neff, self-compassion is comprised of self-kindness, common humanity, and mindfulness. The core components of her book go into detail explaining each of these tenets, with corresponding exercises to practice each of the concepts. Self-kindness entails ending our self-judgments and actively comforting ourselves during times of suffering, such as through physical acts of caressing ourselves and speaking in soothing tones of comfort rather than critical tones. Equanimity involves understanding the relational component of our being – that we are all interconnected. When we believe that we are the only person to suffer and go through hardships, we develop an “emotional tunnel vision” which essentially isolates us and further enhances our feelings of being alone (p. 63). When we begin to see and understand our inherent interconnectedness, we are then able to realize that failure is a shared human experience and we are not alone. Rather than placing our self-worth as contingent on our comparisons to other people, we may engage in equanimity to place our self-worth in simply being human. By disengaging from the “self” as different from other people, we can break free from the illusions of control that we can stop ourselves from failing and avoid suffering. Finally, mindfulness entails awareness of the present moment. Rather than being consumed by our emotional reactions and believing these emotions and thoughts are our reality, mindfulness allows us to anchor ourselves within the present moment as opposed to being consumed by the plots of the mental stories we create in reaction to our thoughts and emotions. We are then able to see our thoughts and emotions for what they really are – simply thoughts and emotions. Mindfulness liberates us by allowing us to ground ourselves in the present moment and recognize our resistance to pain that is causing our suffering. After detailing the core components of self-compassion, Neff (2011) explains the benefits of self-compassion, particularly in the ability to build our own emotional resilience and to develop motivation and self-growth that is not rooted in self-esteem. As explained by Neff, self-esteem is “an evaluation of our worthiness, a judgment that we are good, valuable people,” (p. 138). However, self-esteem, unlike self-compassion, is fueled by perceived judgment of others and essentially fosters contingent self-worth based on success, failure, approval, or disapproval. In comparison, self-compassion does not highlight solely our success (or perceived lack-there-of) in relation to other people’s judgments, rather self-compassion embraces the notion that all human beings have strengths and flaws. Good feelings associated with self-compassion arise from taking care of ourselves through a realistic lens of our strengths and flaws, while the good feelings of self-esteem is contingent upon being better than average and “special” in comparison to others. Contingent self-worth based on comparison essentially isolates us from other people and negates any recognition of our interconnectedness or the realization that all humans experience suffering and shortcomings. Self-esteem arises from the notion about who we think we are rather than simply being who we are. In the context of Dorothy and her companions, the Scarecrow’s, Tin Man’s, and Cowardly Lion’s perceptions of themselves and self-esteem were based on thinking they should have a brain, a heart, and courage to be “special.” Yet, as they were able to recognize by the end of the film, their ability to just be who they really are is what inevitably allowed them to successfully travel with Dorothy through the Land of Oz and eventually confront the Wicked Witch. In the final chapters of her book, Neff (2011) details self-compassion in relation to other people and how self-compassion extends to our daily roles such as a parent, partner, and/or caregiver. Neff reminds us that we are able to re-charge our emotional batteries, particularly when engaging in relationships with others, by practicing self-compassion. In the final chapter, she reiterates the capacity for joy to arise from self-compassion, where our suffering can be radically transformed into joy. Self-compassion fosters openheartedness, open-mindedness, and an overall celebration of being human that encompasses happiness, sadness, joy, and suffering. Similar to Salzberg (1995), Neff acknowledges sympathetic joy in relation to developing self-appreciation and the recognition of our interconnectedness. Within sympathetic joy we engage in the core tenets of compassion – kindness, equanimity, and mindfulness. By engaging in sympathetic joy, and ultimately self-compassion, we immerse ourselves in gratitude, savoring, and overall self-appreciation, which is as Neff notes the “Gift that keeps on giving,” (p. 281). Christopher Germer’s (2009) book, “The Mindful Path to Self-Compassion: Freeing Yourself from Destructive Thoughts and Emotions” is symbolic of the Cowardly Lion – although this book is anything but cowardly. This book is about courage and recognizing that “Life is tough,” (p. 1). Facing our pain, suffering, and resistance requires great courage and strength, which is developed through self-compassion. Similar to Salzberg (1995) and Neff (2011), Germer offers a comprehensive guide to understanding the tenets of compassion through suggested exercises and real-life practice. Germer’s text overlaps with Salzberg’s concept of loving-kindness and Neff’s concept of self-compassion and provides the readers with an easy to understand and enjoyable read focusing on discovering self-compassion, practicing loving-kindness, and customizing self-compassion to each of our lives. Similar to Neff, Germer incorporates modern examples and real-life stories from both himself and his clients to add a heartbeat to what could be considered psychological research jargon. 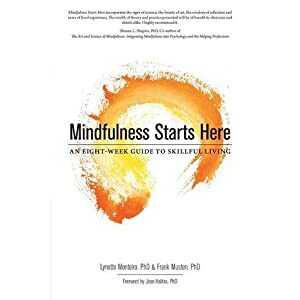 Thus, this book incorporates historical content, research tidbits in each chapter, poetry, real-life stories, and modern examples making this book a great read for anyone wanting to learn about mindfulness and self-compassion – whether you are an academic, parent, caregiver, researcher, or even a Cowardly Lion. Just as the Cowardly Lion is searching for courage, Germer (2008) acknowledges the personal courage it takes to turn towards our emotional pain. Unlike Salzberg (1995) who focuses on metta meditations, and Neff who focuses on concepts of the self and self-compassion, Germer highlights the importance of mindfulness. Mindfulness precedes self-compassion, or simply put, awareness first then kindness. Germer explains how mindfulness is an anchor – and we can begin to understand mindfulness by going into our body. Mindfulness means paying attention to our perceptions rather than our interpretations of reality. Our most common anchor is our breath. The breath allows us to stop, observe, and return to the present moment during times when our thoughts and emotions have become hijacked by our mental stories. Typically our emotional pain is fostered in the tendency to grasp our pleasures and avoid pain. We want to spend more time being pampered in the Emerald City, while doing our best to avoid any “Lions, Tigers, and Bears” in our lives. However, Germer advocates turning towards our discomforts, rather than avoiding them. This “turning towards” occurs in stages: aversion, curiosity, tolerance, allowing, and then friendship. Although these stages are not linear, when we can learn to let go and embrace the hidden value in our struggles, we can learn to develop a new relationship to our thoughts and feelings, as opposed to avoiding, resisting, or challenging our discomforts. Thus, within the acceptance of our struggles and awareness of the present moment resides self-compassion. When we give up the control and manipulation to feel better, we discover self-compassion. Self-compassion may be practiced physically, mentally, emotionally, relationally, and spiritually within our lives. Similar to Salzberg (1995), Germer (2008) asserts the practice of loving-kindness as the core practice of his book. Where mindfulness uses the power of attention and the breath, loving-kindness uses the power of connection and words. In addition, similar to Neff (2011) and Salzberg, Germer contends that loving-kindness teaches us to be better friends to ourselves. However, as acknowledged by both Salzberg and Germer, there are hindrances that may affect our ability to be compassionate and remain grounded in the present moment, which includes: grasping, aversion, weariness, agitation, and doubt. Thus, to attend to these internal “flying monkeys” Germer suggests we FACE the discomfort: Feel the pain, Accept it, Compassionately respond, and Expect skillful reaction. Rather than fighting the flying monkeys, running away, or becoming stagnant, essentially we practice softening, allowing, and labeling. Furthermore, even though Germer provides great step-by-step details in practicing mindfulness and self-compassion, one of the most important messages central to his book and the other two books is the notion that there is no perfect practice – our efforts are the practice. As noted by Germer, “What matters most is the attitude behind the practice,” (p. 140). It is remembering that the intention behind our practice is what counts, not the outcome. In conclusion, there are moments in each of our lives where we may feel swept away by our own inner cyclones of turmoil. When swept into distant places that feel so far away from “home” and so far away from the present moment, it is important to embark on our own Yellow Brick Roads with our friends the Scarecrow, the Tin Man, and the Cowardly Lion – also known as our friend Compassion. Each of the three books reviewed in this paper provided insight into the importance of developing compassion and cultivating loving-kindness when we find ourselves lost and emotionally or mentally “swept away.” Although it would be wonderful to believe that there is an actual Wizard of Oz in every situation that can magically bring us back home, to a place free of suffering and full of comfort, we have to remember Dorothy’s dog Toto who pulled down the curtain from the Wizard of Oz to reveal a simple, every day, human being. The “larger than life” being that has the power to take each of us home is us – ourselves – being human and the overall human experience. Perhaps this is one of the greatest realizations – that within each of us is the capacity to return “home.” Thus, the next time I start to feel swept away by an emotional or mental cyclone, I will remember to click together my ruby-red heels three times (i.e., take three breaths) and look for my friends Compassion and Loving-Kindness as I make my way back to the present moment. I find it quite distressing that a mindfulness community would advocate buying books on loving kindness and compassion from an American multinational corporation. Surely it would be more mindful to encourage people to go down to their local independently owned and operated community bookstore and support their neighbours…. Thank you for your comment, Louise. The OMC is a proud supporter of local bookstores in Ottawa and Toronto. They are listed on our website under the tab Resources. The links attached to the books in this post refer to the authors’ websites and thus support their work in this field. Chris Germer’s book does link to Guilford Press which has been a strong supporter of making resources on mindfulness available for many years. I’ll change that to point to Chris’ site. We do our best to support all sources of wisdom without judgment or discrimination. Of course, our dream would be to have a non-profit publisher who puts out all these books and makes them available gratis. Perhaps some day it will happen.